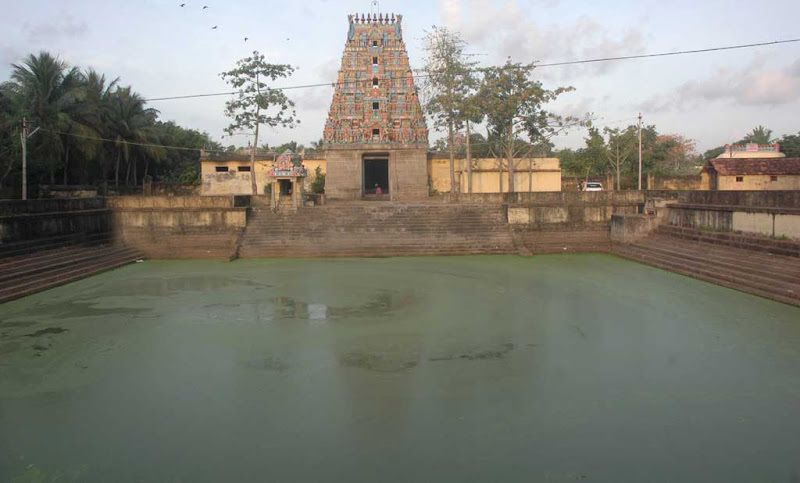 Holy water (Theertham) : Janavi Theertham, Sangama Theertham. Sacred Tree (Sthala Vriksham) : Mullai (Jasmine). Thevaram : Sambandar - 2. Timings : 06:30 a.m. to 12:00 noon and from 04:30 p.m. to 07:30 p.m. This is the 10th sthalam on the northern side of river Cauvery. Saint Thiruganasambandar has sung hymns in praise of lord Shiva of this temple. 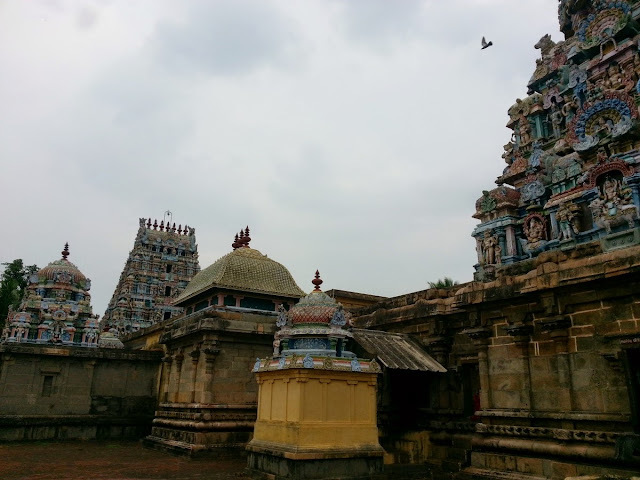 Temples in existence in Puhaar have been mentioned in the ancient Tamil work, Silappadikaaram. This is a shrine at the confluence of the Kaveri with the ocean. Poompuhaar was once a hoary port of the Cholas and is now a tourist attraction. The remnants of Puhar are seen under the ocean. Kovalan and Kannaki of Silappatikaram are said to have been born here. Vaikasi Visakam in May-June and Aadi Pattinathar Vizha in July-August are the festivals observed in the temple. This is the birth place of saint Pattinathar. 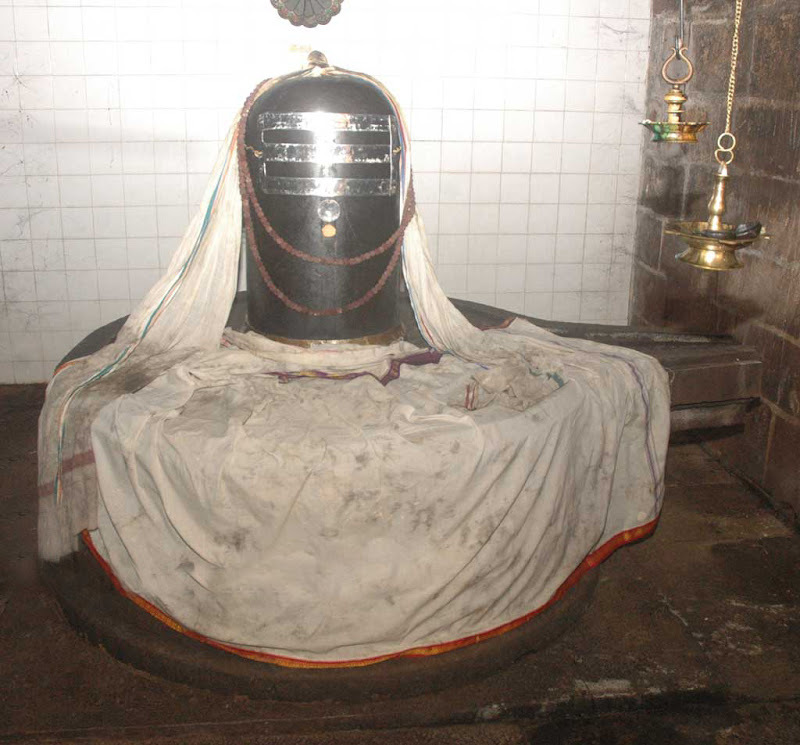 Lord Shiva is a swayambu murthy in the temple. There lived in this region a Shiva devotee couple Sivanesar and Gnanakamalambikai. They were blessed with a son named Tiruvenkadar. He was a marine trader. At 16, Tiruvenkadar married one Sivakalai but had no issues though years passed by. To grace them, Lord Shiva was born to Siva Sarmar and Suseelai, a poor couple. The child was named Marudavanar. Lord Shiva appeared in their dream and advised them to give Marudavanar to Sivanesar in adoption. Marudavanar, now the adopted son of Tiruvenkadar continued the marine trade of the family. Returning from his business travel one day, Marudavanar gave a box to the mother and left out. Tiruvenkadar anxiously opened the box to see the wealth brought by the son but was shocked to see the box containing a dung cake made with husk. Throwing it in anger he found written on the cake, “even a broken needle would not accompany the soul during the last journey.” Tiruvenkadar learnt the truth and renounced his family life at once. He prayed to Lord Shiva to bless him with salvation. Lord appeared before him and assured that his wish would be granted at an appropriate time. 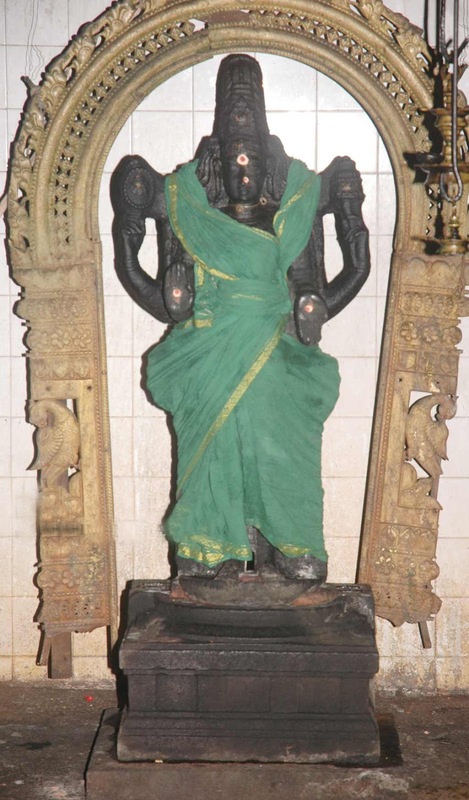 Known as Pattinathar then as he was born in Kavirpoom Pattinam, he attained salvation in Tiruvottriyur. Lord Anugnai Vinayaka is the main Vinayaka of the temple. The Shiva Linga in the sanctum sanctorum is big in size. Sage Kalava Maharshi had worshipped here. Sage Pattinathar is in a separate shrine facing north. The sculptures of Pattinathar’s wife, Mother and Lord Shiva who grew as his son are on the vimana of this shrine. Brahmmotsavam is not celebrated for Shiva in this temple but for Pattinathar only, known as Adiyar Utsav meaning festival of devotee. Also, there is no flag post-Kodimaram in the temple. Pattinathar festival is celebrated for 12 days in Aadi month-July-August. The 10th day covers the event of Lord Shiva granting salvation to saint Pattinathar, celebrated in a very grand manner. Lord Shiva as Marudavanar, Shiva Sharma and Suselai couple who brought Him up, Pattinathar, his disciple Badragiriar, Nayadiar and Mother Guhambika with Lord Muruga on Her lap are the procession deities in the temple. The temple is facing the Bay of Bengal. All the planets in the Navagraha Mandap are facing the Lord-west. Lord Muruga graces with His consorts Valli and Deivanai in the prakara in a standing form. The peacock vehicle is absent in the shrine. There are two Mothers Durga in the Prakara with demon Mahisha not seen under one Durga. There are two Chandikeswaras. River Cauvery enters the sea just near this place, hence the place is named Kaviri Puhum Pattinam. The present name of the place is Poompuhar. People pray to Lord Pallavanathar for wise children and cultivating the trait of renunciation. Location: Located in Kaveri Poompattinam (a Pallava period coastal town), now known as Poompuhar village. Bus services to Poompuhar are available from Sirkazhi and Mayiladuthurai. The temple is located about 25 Kms. from Mayiladuthurai.